Partial Plan Termination - Know the Facts! In today’s age of mergers and acquisitions, it is important to consider the impact that a change in your corporate structure could have on your 401(k) Plan. Depending on the facts and circumstances, your plan may have a partial termination. This can happen if an action by the employer causes a significant decrease (generally at least 20%) in plan participation. Layoffs, plan amendments, or business reorganizations that cause a decrease in plan participation are counted even if they result from economic circumstances beyond the employer’s control. If your plan has had a partial termination, all affected participants become fully vested in their account balances on the date of the full or partial plan termination, regardless of the plan’s vesting schedule. An affected employee in a partial termination is generally anyone who left employment for any reason during the plan year in which the partial termination occurred and who still has an account balance under the plan. Some plans wait until an employee has 5 consecutive 1-year breaks in service before they forfeit their nonvested account balance. For these plans, employees who left during the plan year of the partial termination and who have not had 5 consecutive 1-year breaks in service are affected employees. Routine turnover during the year is generally not considered a partial termination. However, certain factors are relevant to determining whether the turnover rate is routine This includes information on the turnover rate in other periods and the extent to which terminated employees were actually replaced, whether the new employees performed the same functions, whether the new employees had the same job classification or title, and whether the new employees received comparable compensation. Generally, voluntary terminations do not count in determining whether a partial termination has occurred as they do for determining who must vest after partial termination. However, in some cases, employees who appear to terminate employment voluntarily have been found to have terminated involuntarily under a constructive discharge theory. The employer’s intent, working conditions and the reasonably foreseeable impact of the employer’s conduct on the employees are factors in evaluating a constructive discharge. An employer who partially terminates a plan must determine which participants require an acceleration of vesting due to the partial termination. 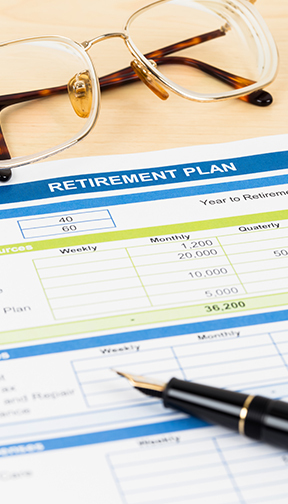 It is important to make this decision with assistance from your third-party administrator or ERISA counsel early to ensure that you have given your employees the full benefit of their account balance.